studio HINGE was founded in 2014 by pravir sethi, and the practice has since designed and executed works of scales ranging from furniture and lighting to interiors and architecture, having completed projects in dubai, pune and mumbai. the outlook of the studio is firmly contemporary, with acknowledgment of context often providing a nod to the past. the work is detail-and craft-orientated, but often interpreted by cutting edge fabrication techniques. we offer design consultancy services, along with the supervision of execution on site. good design, to us, is like a clever bit of storytelling. it is contextual, has a narrative, can be witty, moving, or both. it evolves, evokes, revealing new turns at every reading. we believe design should be ubiquitous, should trickle down into the nooks and crannies of daily life, and not just be the preserve of a luxury lifestyle. we recognize that one size does not fit all and deliver tailored solutions to reflect this, from a township to a door handle. and sometimes, when one size doesn’t even fit one, we build in flexibility. we create things that bend/ fold/ twist/ slide to become other things, new things. detail is everything to us. we are driven by tactility, surface, texture, joinery, the coming-together- ness of things and the whole-more- than-the- sum-of- its-parts- ness of it all. Understanding the requirements of the client and photographing details and spaces based on them to create images that make an impact. Shades studios At shades studios we are committed to solving the most complex challenges in the world of design. We believe that stunning designs start with a simple idea & functional planning. Next there’s shades, shweta is a design enthusiast dedicated to your goals and vision. We design spaces that are comfortable, personal and interesting which reflects your shade of personality. Great interior design is art, showing who you are in ways you have never imagined. Our unique perspective, reflects an artist’s eye toward color and materials and a strong sense of space and form. We are here to make your space better than you could have ever imagined. Through our wide range of services we’ll make sure that your expectations are not just met, but exceeded. Shweta Shah - Founder & Principal designer After graduating in 2007 I started with my internship followed by job in different firms & finally coining 'shadesbyshweta'. With 11+ yrs experience in the field i also did my MBA in Design Management while working . . . . just to understand more on other side of the table along with being creative designer which now helps me in spatial planning & managing projects. Artis Interiorz Pvt. Ltd. is an Turnkey Interior Design Solution firm founded in year 2006 in Bangalore with Mission of “Creating Style And comfort” and since then trying to evolve as a better service provider and company at large with every passing day. At Artis Interiorz, we redefine contemporary living with a balanced combination of latest techniques and precise state of the art detailing. High quality material, styled with understated elegance, results in unique richness to our relaxed home interiors. Creating practical and functional designs tailored for today’s contemporary lifestyle. With a rich experience of over a decade we are continuously exploring to get better with each project. Our core team of 80 people working holistically on design and execution with prime focus on timeless, functional and personalized spaces for end users. 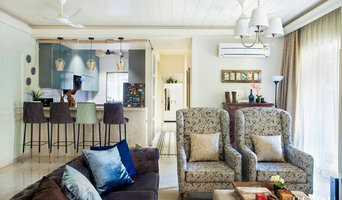 Leading personalized Interior Designing for Homes and assisting our clientele in making their dream homes a reality as per their preference and a fine blend of uniqueness, style and comfort. We at Spacecraft Studio undertake turnkey interior design projects.We specialize in end-to-end design, execution & management of interiors specially focused on residences. We are a small but energetic team that focuses on making your house unique, classy and done to your taste & budget! I design Studios a leading interior and decor solutions company helping people discover the nuances of bespoke decor. 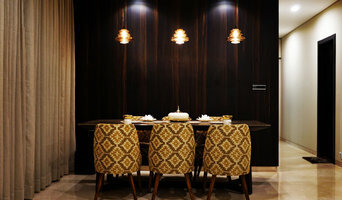 It is founded by interior designer, Pooja Gupta in 2004 to bring a more personal experience to interior styling. The strength of our company lies in its zeal to create exciting spaces for people in the promised timeline. The company takes care of all the steps including light fixtures, soft furnishings, decor accents, flooring and the interior solutions. This exclusivity comes from Ms. Pooja's attention to detail and her zeal to work with the client at every step of the process. The process is extensive and begins with understanding our client's aesthetics. We believe in sustainability and that spaces are personal and must therefore resonate with people. Therefore, as epitome of out of the box space solutions we even remodels furniture for our clients to give it a new contemporary form while keeping its emotional value intact. ACDS is India's top award-winning design firm with a singular focus on the holistic approach to designing & creating soul moving spaces. At ACDS we see ourselves as Artisans who Articulate, Refine and Translate the vision of our clients into built environs. Since inception, we have consciously maintained a select team of 10 artist-designers, who share the passion of exploring the relationship in between nature and built spaces with an emphasis on detailing and execution to ensure envisioned reality is achieved. The firm's Founder Nirav personally Liaise with, Design and Direct all the projects. At ACDS we encompass the entire design spectrum of Residential & Commercial Architecture, Interior Design , Landscape Design & Lighting Design. 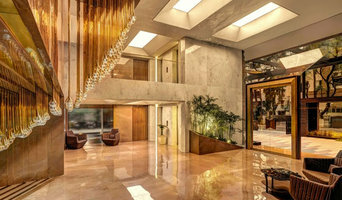 Thus ensuring seamless integration of all the facets of design across various mediums and dimensions bringing uniqueness to the project at hand. Our Clientele roll call reads the "WHO'S WHO" celebrity - industrialist - businesses of India, which has enabled us to raise the bar of design deliverance every single day. At Creative Axis Interiors Pvt. Ltd., we have always enjoyed "defining spaces" for a cosy living of every client. We believe that every customer is different and has a different taste and style of living. For us, the challenge is to make every bit of your space live-able and love-able. Founded by Rahoul Bir Singh and Lakshmi Chand Singh, Home by Design, is a design firm known for sculpting bespoke, houses. As the demand for the company’s unique designs grew, so did our team, breadth of services, and most importantly, our ongoing devotion to creating beautiful, timeless custom home designs. With an eye for detail and a brain for construction, today, Home by Designs has an experience of over 20 years in custom home and renovation designs. We’ve grown to a collaborative, diverse and an agile team of people who share a deep respect for each other and an unwavering commitment to providing exceptional service. Our team, under the expert guidance of Rahoul Bir Singh, Lakshmi Chand Singh, Ashim Bhattacharya, and Preeti Bhattacharya is future–oriented and can see a space for what it will become even in the early stages of development. As a result, we deliver excellence both in design and services and the end product is always a beautiful home that exceeds expectations and builds a lasting, reliable relationship with our clients. Sreenivas is a Hyderabad based photographer specializing in Architecture, Interiors, and Commercial Photography. Sreenivas studied photography from JNTU Collage of Fine Arts, Hyderabad. Sreenivas garnered over two decades of professional career executing several prestigious assignments leading advertising agencies winning several advertising excellence awards. 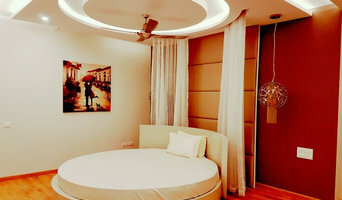 Sreenivas crafts perfect mix of technicality and creativity for photographing architecture and interiors. 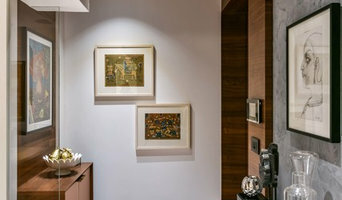 Sreenivas uses both natural and artificial light where appropriate to artistically capture indoor and outdoor spaces. Every single image is meticulously crafted with expert attention to detail. When Sreenivas isn’t photographing architecture and interiors, he is always working on exciting new projects for advertising and corporates anything from Fashion, People, Product, and Food. Interior Design is an important part of our life, it creates personality in a room. Philosophy behind my design is to first understand space and represent with light,color,shadows,materials,shapes,furniture design and architectural details in an ambient. 42mm is multi-disciplinary practice specializing in architecture, interior design, urban design and master planning. Representing more than decade of design excellence, firm’s portfolio is complemented by a fresh perspective. With a keen desire to depart from conventional models, Firm is constantly at work on research, development and implementation of innovative and efficient design strategies, operations and details. Additionally firm maintains a strong commitment to create design solutions that are individually tailored to suit the specific criteria for each project. At 42mm the emphasis is on understanding the end-user in relation to its environment. We understand the necessity of the built environment to enhance the quality of life for the user, to be an expression of its true nature to the surrounding environment, to be responsive to regional sensibilities and to be responsible towards the environment. The Design Process for each project evolves from a detailed analysis of its Function and User in relation to its site and its social and cultural context. Seamless integration of spatial organization with various systems, like structure, services, finishing and lighting contributes to the Spirit of the Place. Sensitive to issues regarding contextualization-globalization and environment, the intervention lies in creating meaningful, useful environments, which enhance the feeling of well-being. Sustainability plays a major role with passive and active solar design, enabling us to create clean, energy efficient and ‘low burden’ environments. A collaborative approach and comprehensive consultation process allows us to respond to requirements, commercial environments, technical processes and practices, resulting in the optimum design solution. We believe in introducing clients to contemporary approaches and progressive design. A strong sense of commitment, ambition and service for each project has won the firm lasting relationships with our clients. IDUS Furniture is a luxury brand with an experience of 4 decades in Interior Industry that caters to the needs and requirements of home furnishings, offering furniture, lighting, flooring and complementary accessories of high quality. With unmatched products, unparalleled designs and distinctive character, IDUS furniture is the epitome of high and unique level furnishings that merge classic designs with contemporary influences. We hype on bringing together the softness of the comfort, boldness in design and modular detailing. This is the integral part of our brand’s quality. IDUS grows through creativity, invention and innovation. We defy balancing between shapes, colors and materials, and bringing harmony among varieties of products. This results in collaboration with prestigious international designs. Welcome and gaiety, relaxation and warmth are in fact the key words.